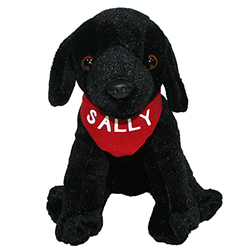 When Sally’s family visits a hot air balloon field, the loyal black Labrador Retriever is tempted by the smell of fresh chicken coming from one of the balloons. She follows the delicious scent to a balloon basket, and—whoops—the balloon takes flight! Soon she’s soaring above the ground, looking out at the tiny people below as they try to bring her back down. Beautiful panoramic scenes and Sally’s trademark witty thoughts accompany her latest adventure in the open skies, in a book that is sure to charm dog owners and fans of intrepid Sally.